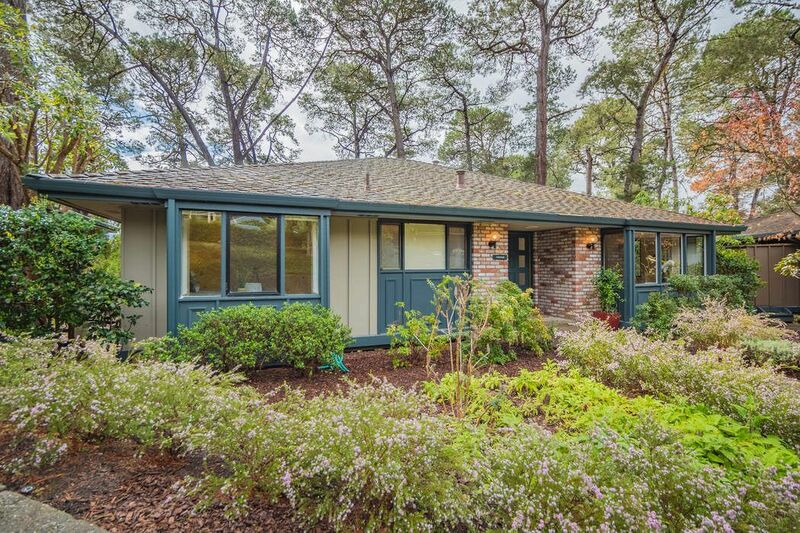 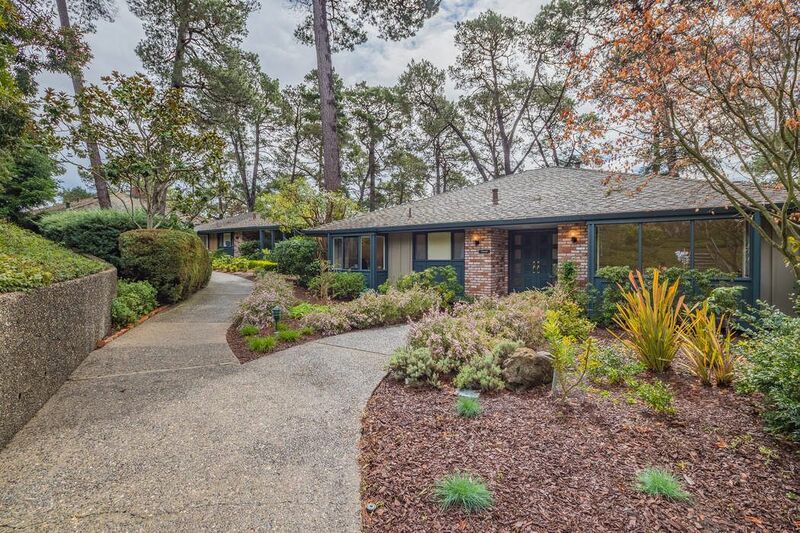 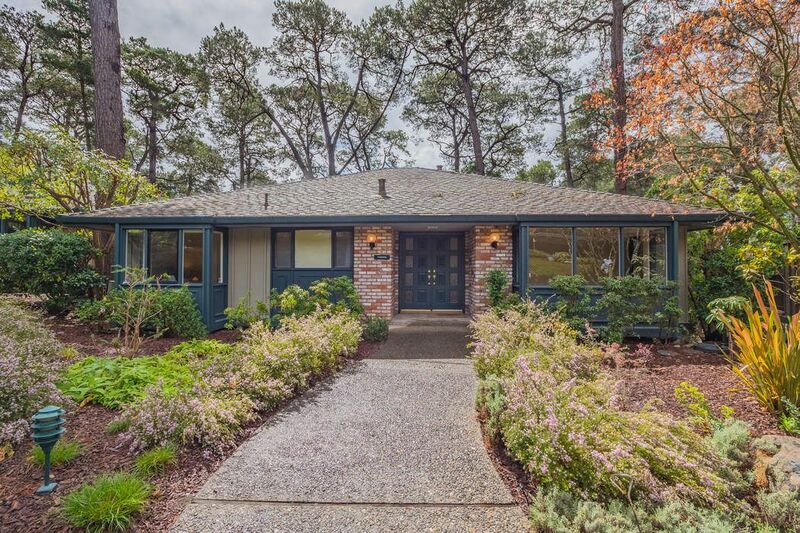 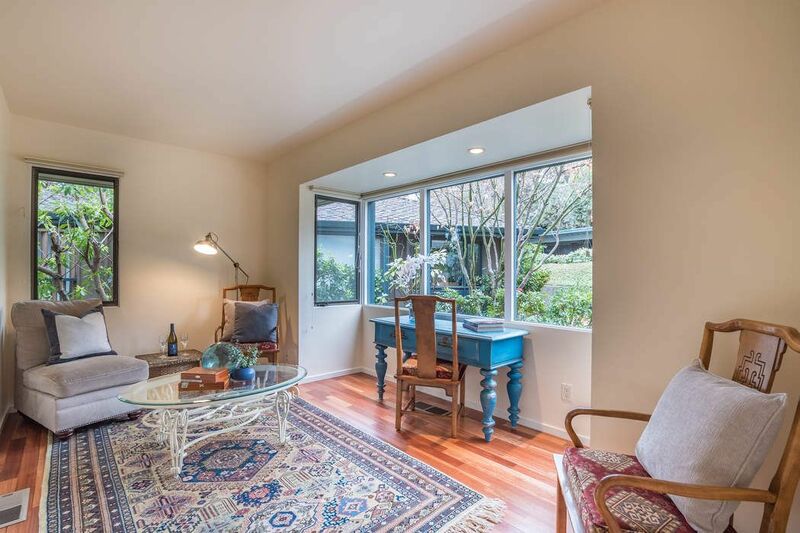 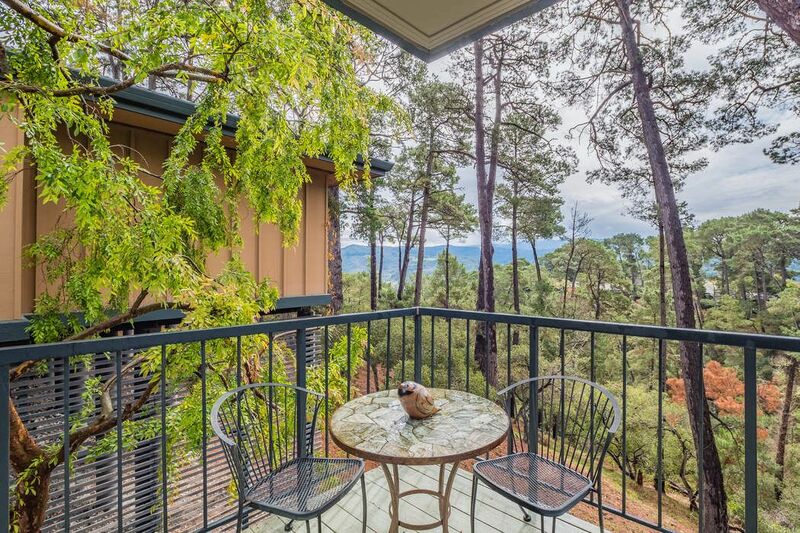 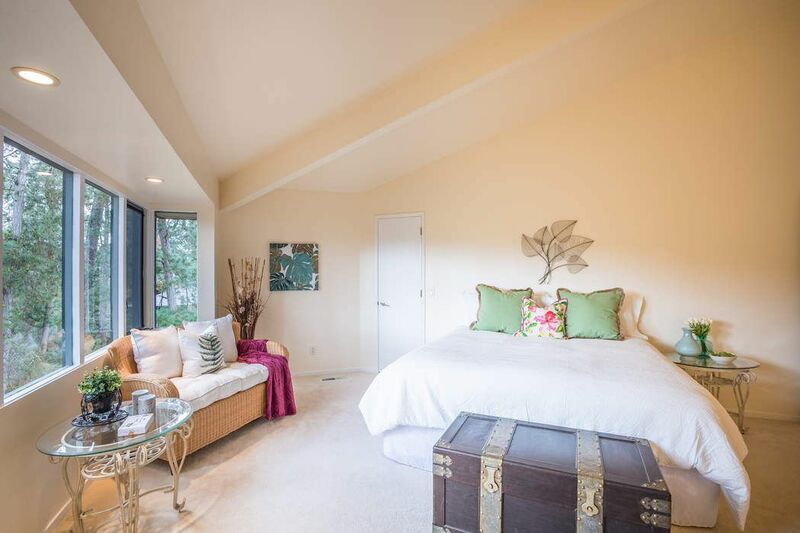 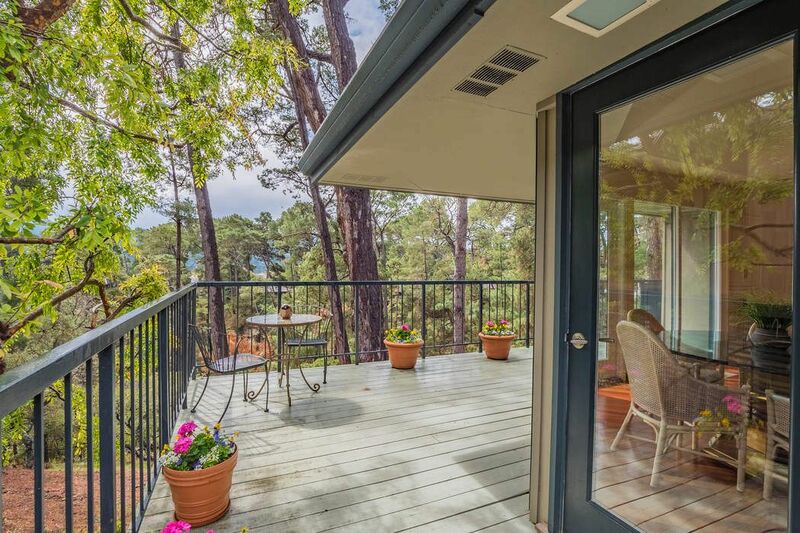 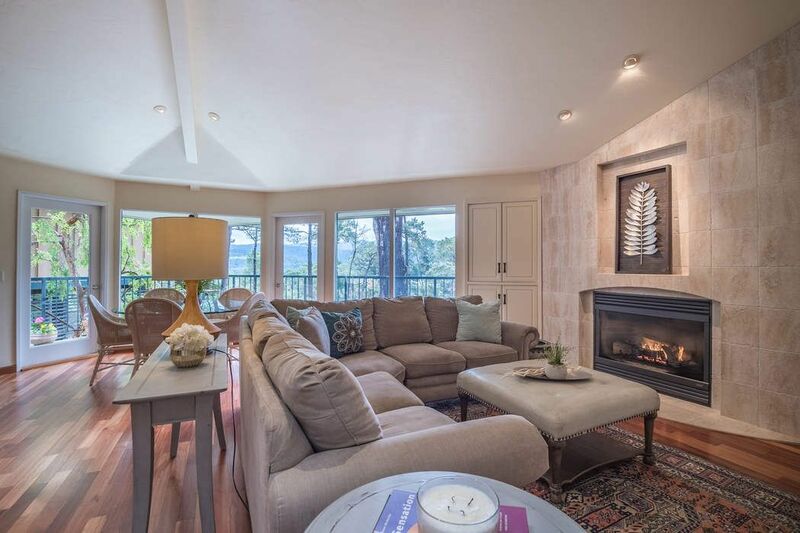 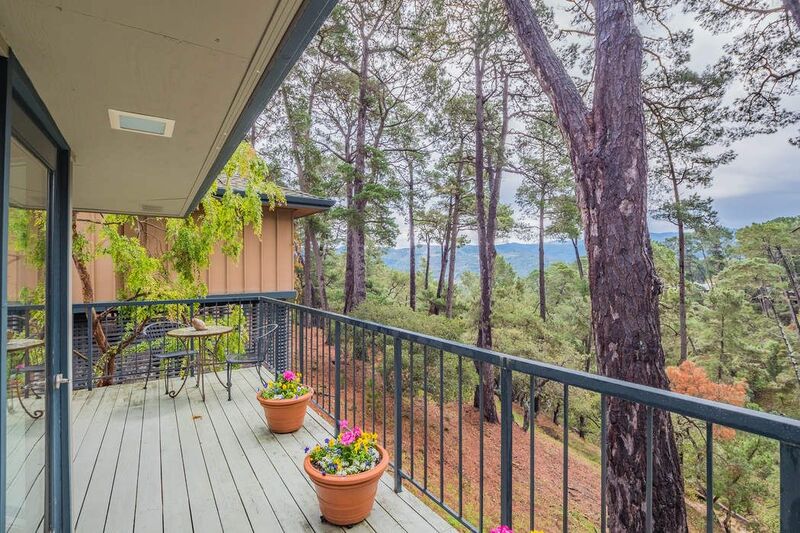 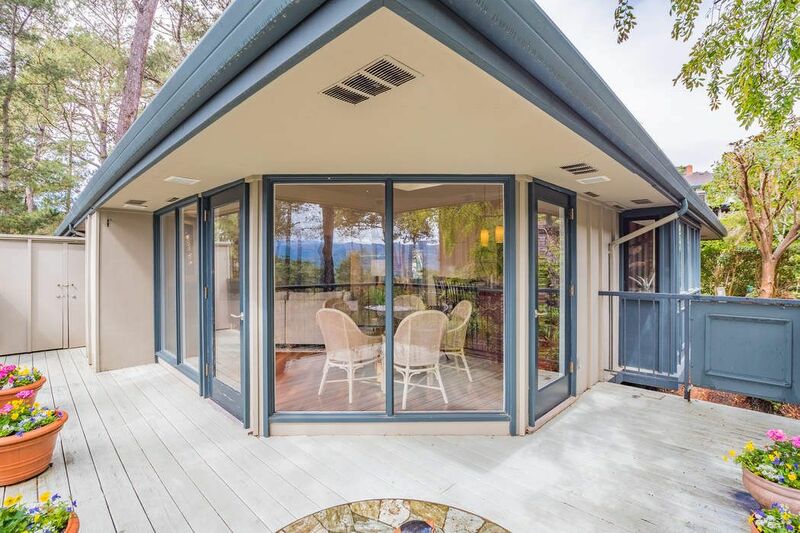 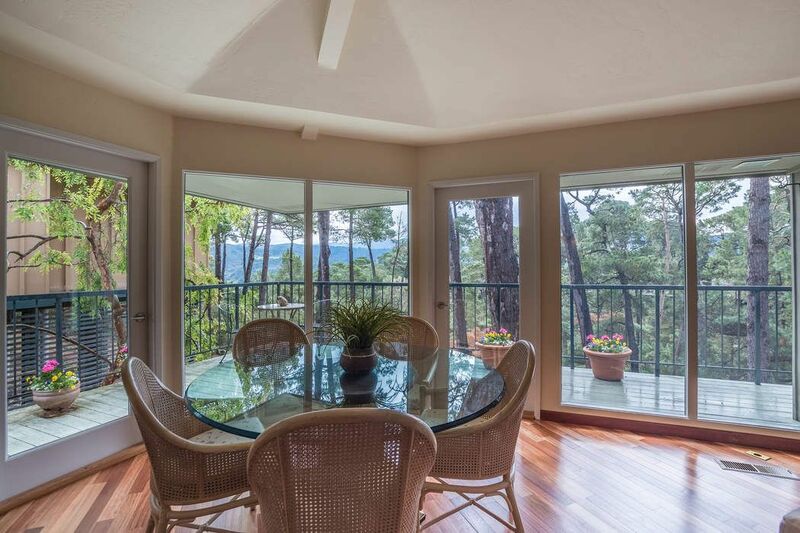 247 Del Mesa Carmel, Carmel, CA 93923 | Sotheby's International Realty, Inc.
$950,000 2 Bedrooms2 Full Baths1,833 sq. 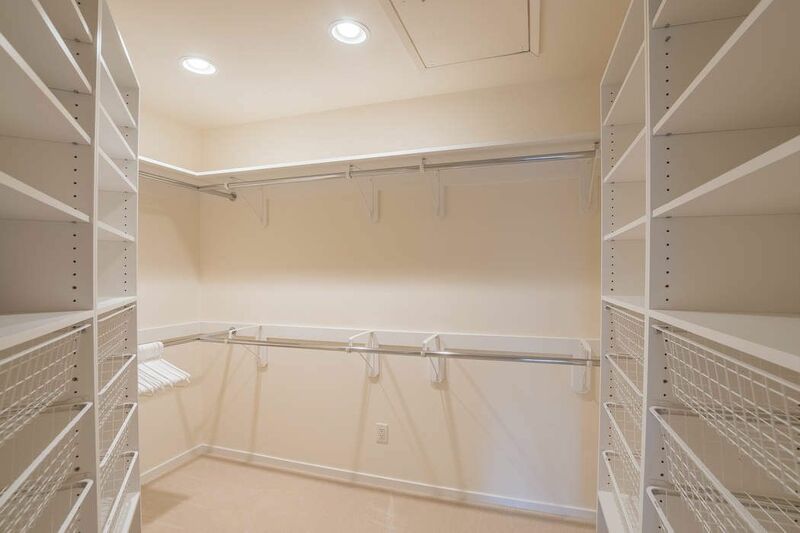 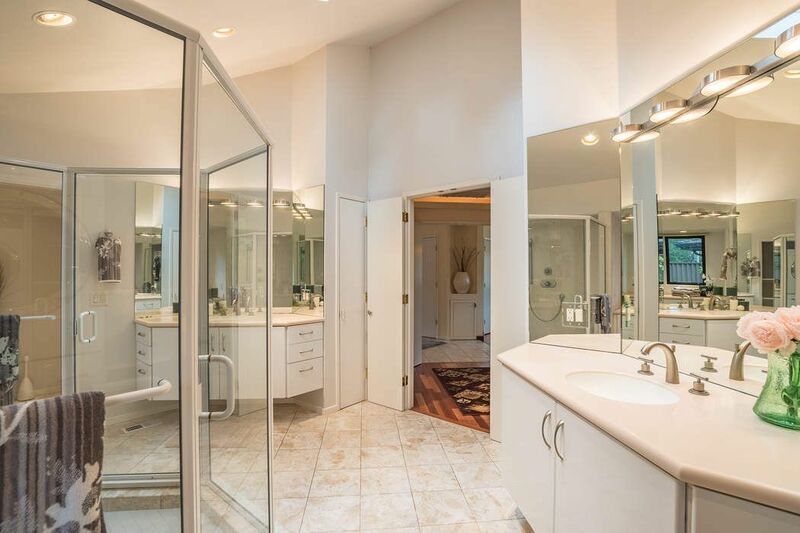 ft.
Reconfigured and remodeled for today's lifestyle, this fabulous stand alone "C" unit will take your breath away. 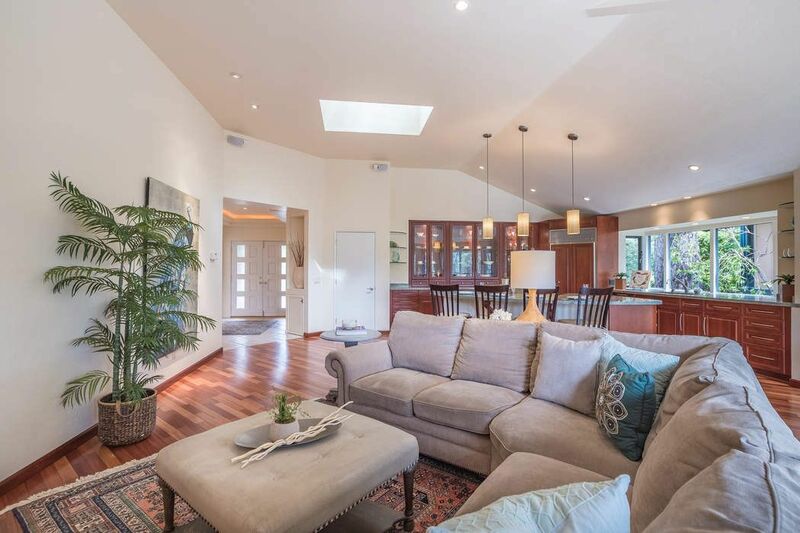 Walls were removed creating a spacious open concept great room surrounded by windows that capture the incredible views. 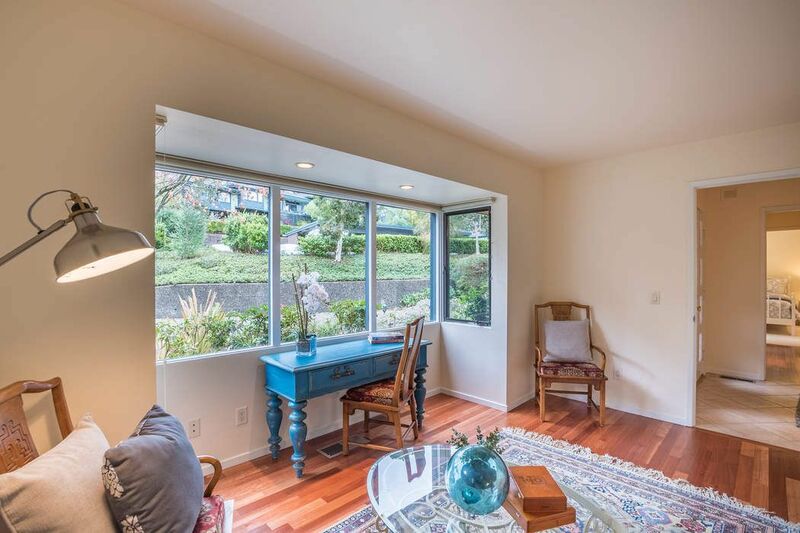 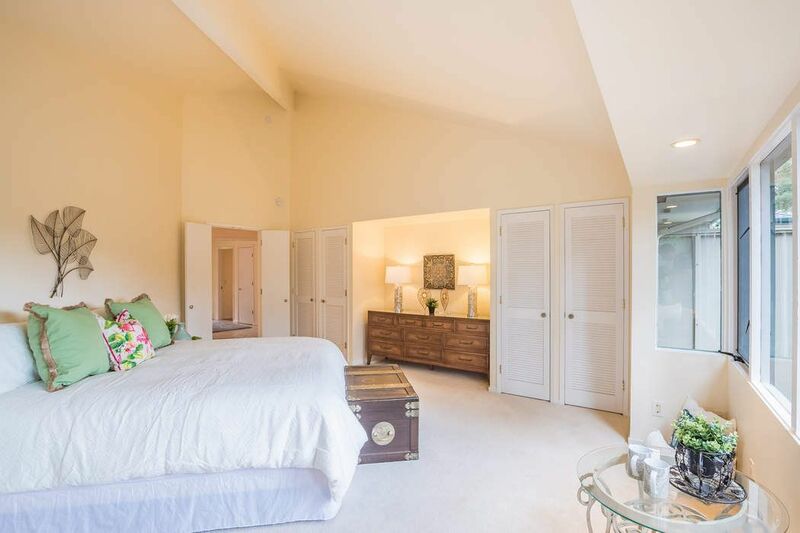 The elegantly appointed 2 bedroom, 2 bath unit with separate den/study is a must see. 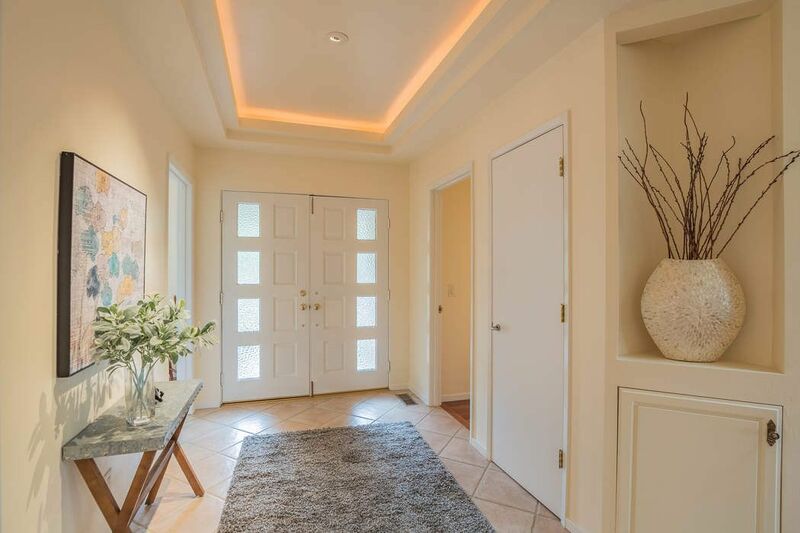 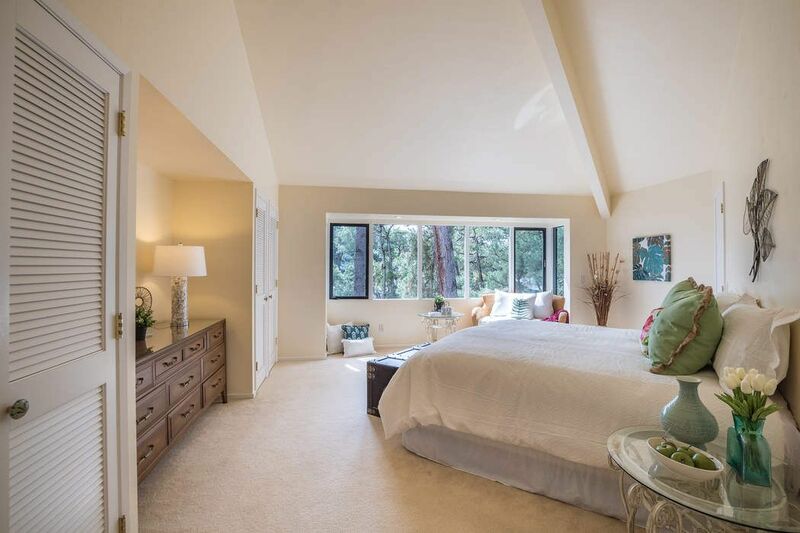 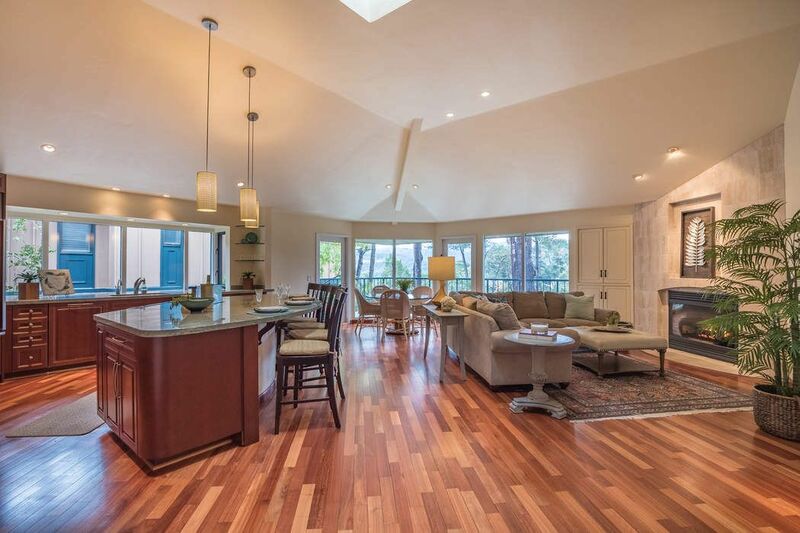 Soaring ceilings in great room, master bedroom & master bath. 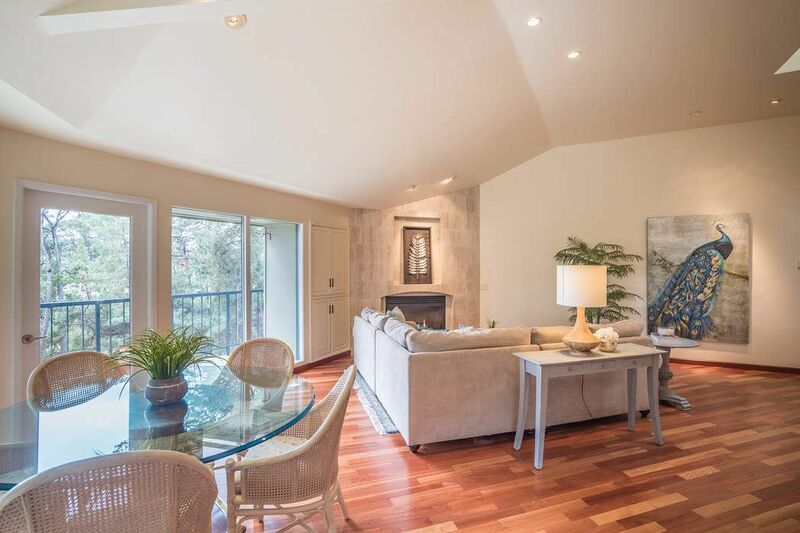 Beautiful cherry hardwood floors in great room, kitchen & den with accents in the entries of each of the 2 bedroom suites. 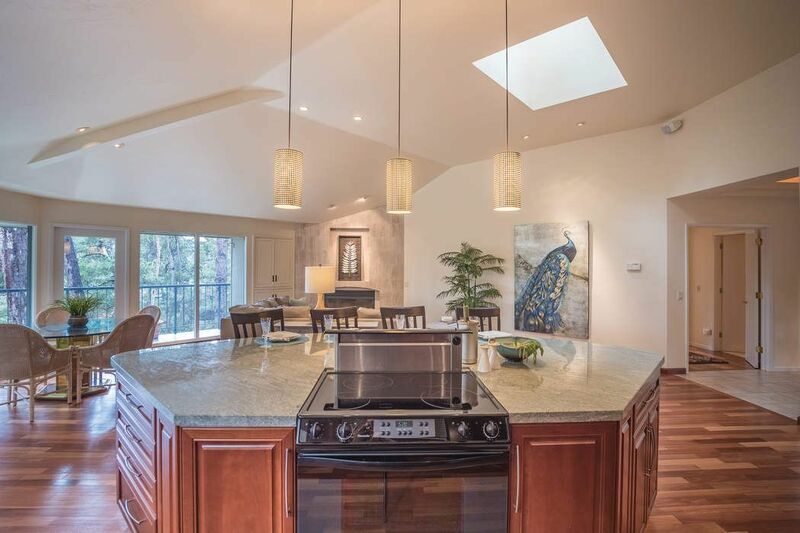 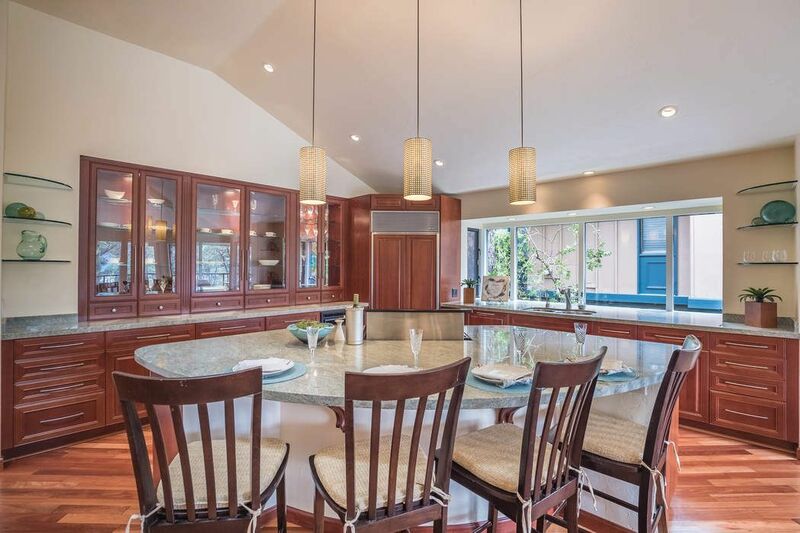 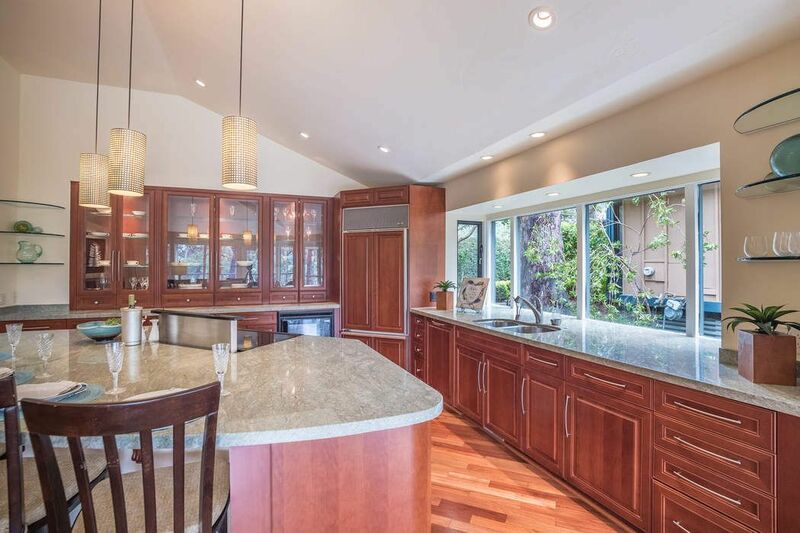 A huge chef's kitchen with top of the line appliances, is loaded with workspace, custom cabinetry with overhead lighted display cases and storage galore. 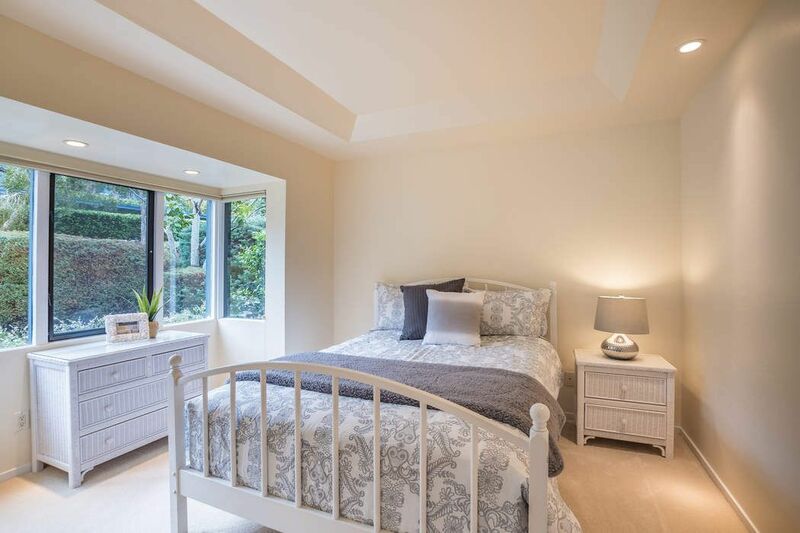 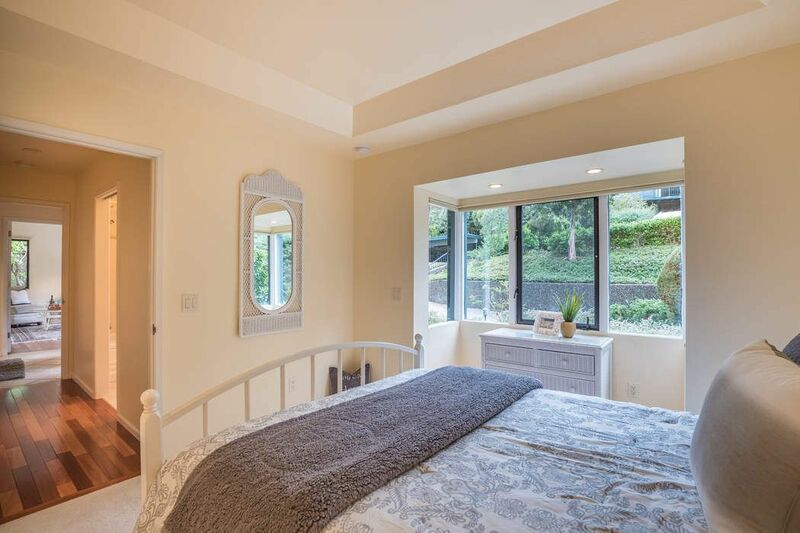 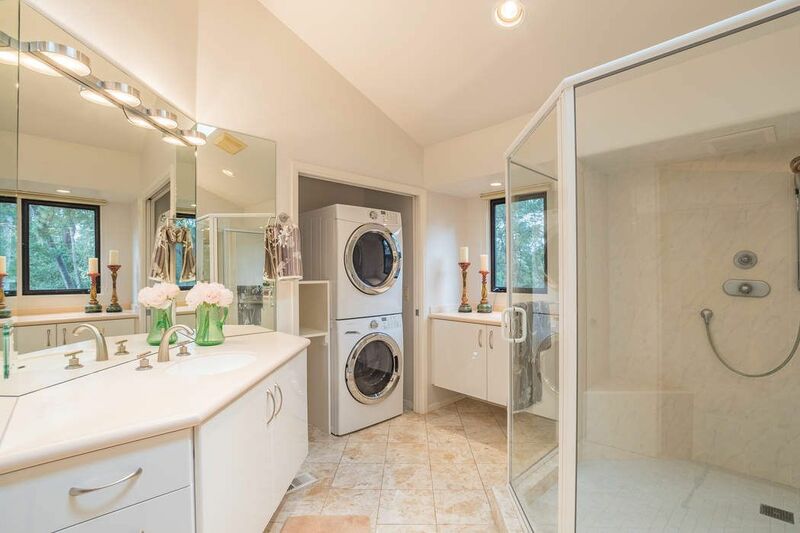 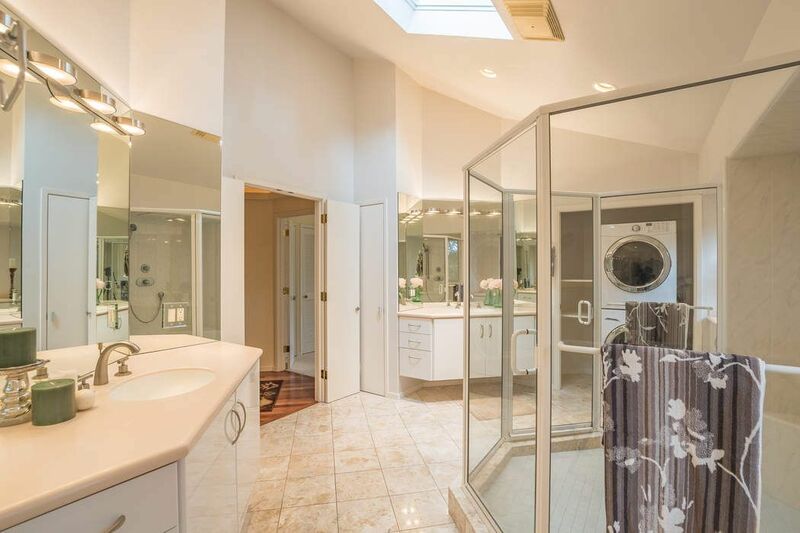 The private master suite captures the fantastic views & the master bath boasts an elegant oversized walk- in shower, inside laundry & separate double sinks with glistening stone tile floors. 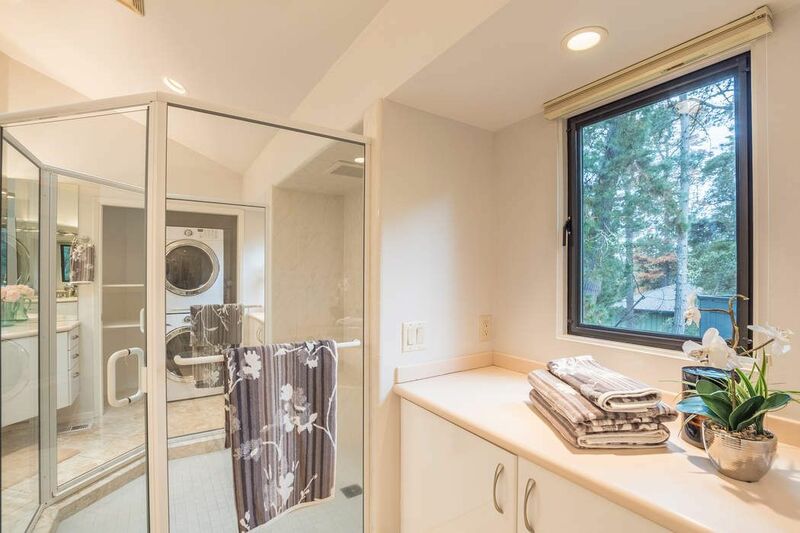 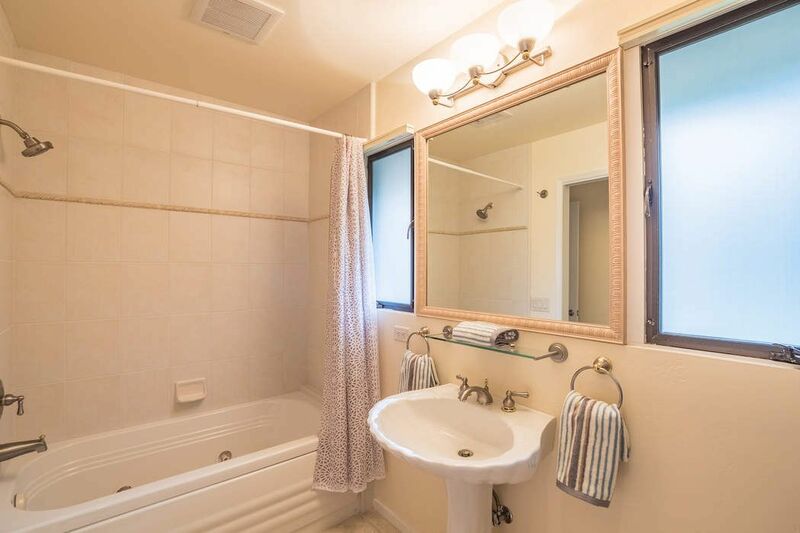 Separate guest bedroom suite even has a wonderful Jacuzzi tub with overhead shower in bath. 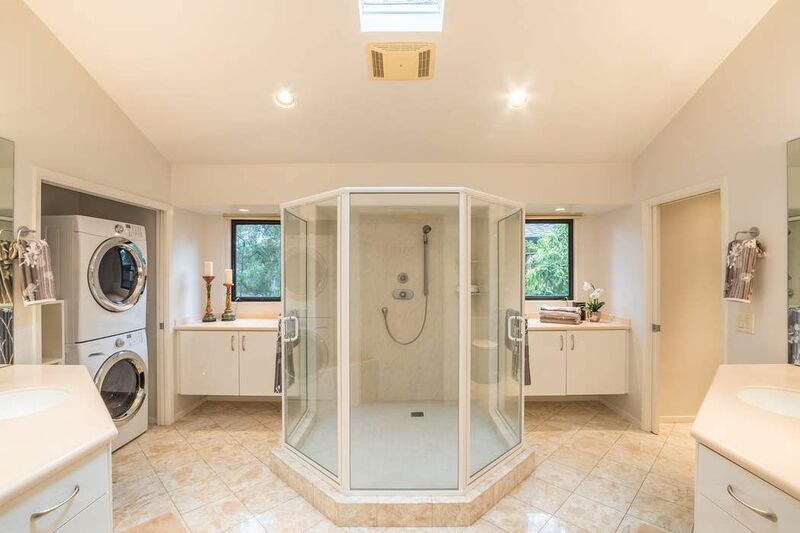 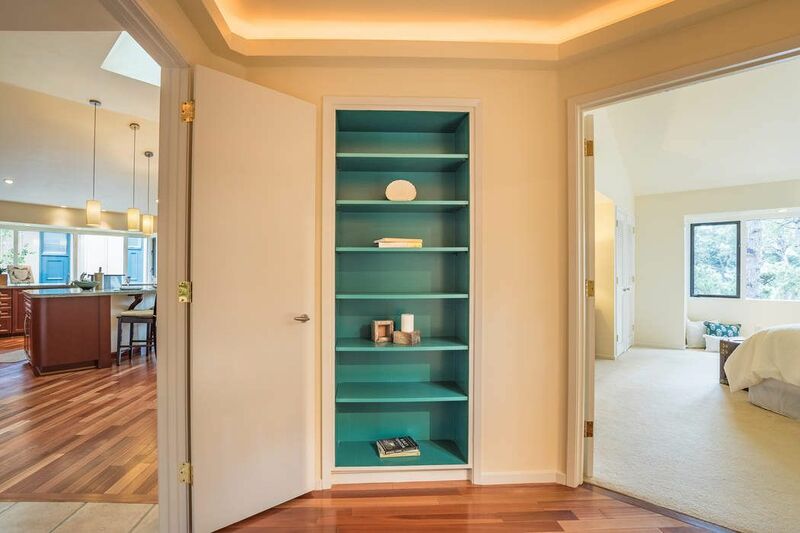 This striking, private and incredible unit will dazzle even the most discriminating buyer. 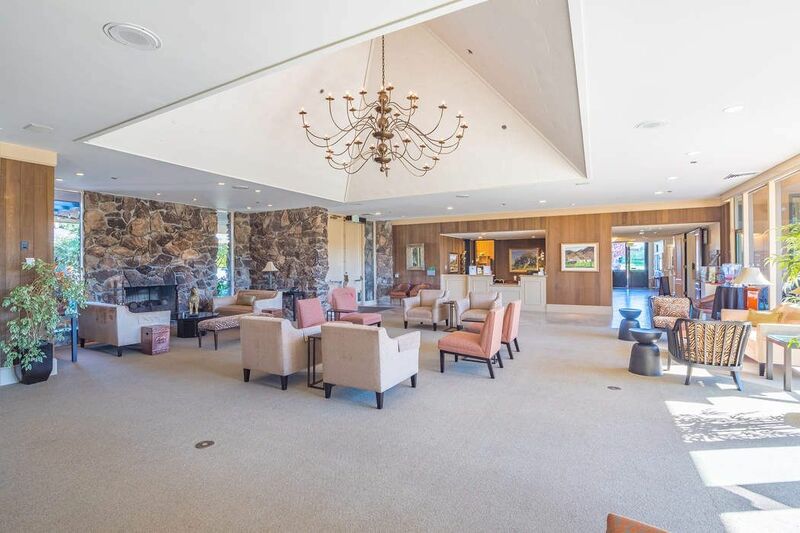 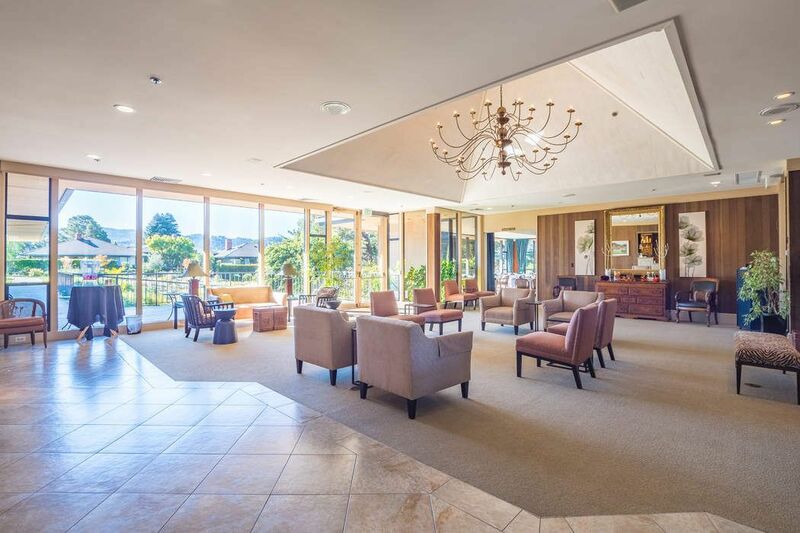 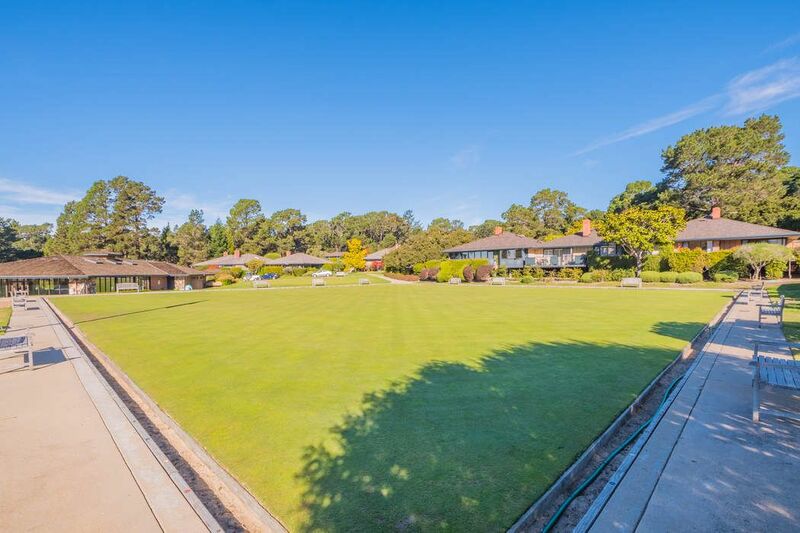 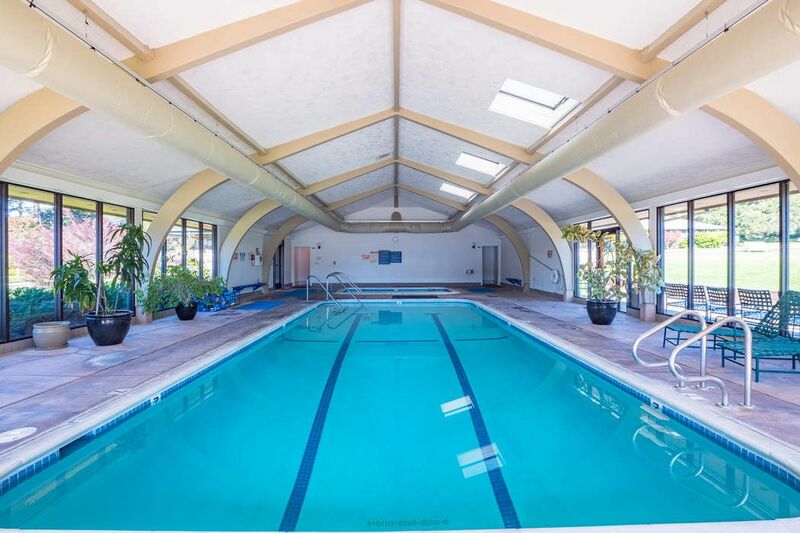 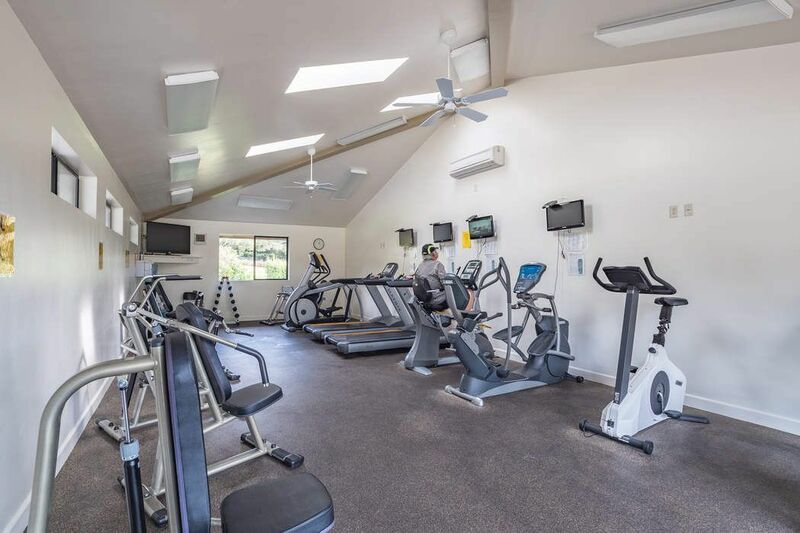 Del Mesa is an active 55+ community with pool, spa, workout facilities, clubhouse with restaurant, lawn bowling, putting green, numerous activities and more.